Happy holidays from the recruitment team at Mac & Fulton Talent Partners! 2018 has been an amazing year for us. We are extremely thankful for the cannabis network that has made this success possible. Looking into 2019 and beyond, M&F Talent is thrilled to continue our place as the most attentive and knowledgeable recruiting service in cannabis, hydroponics, and horticulture. Similarly, we are excited to share our knowledge and experiences with our vast network of industry connections. Representing perhaps the most monumental change in the history of legal cannabis in the United States, hemp was federally legalized on December 20, 2018. On this historic date, President Trump signed the 2018 Farm Bill into law. This watershed legislation has opened the doors to a plethora of business and employment opportunities involving hemp. However, their remains a great deal of controversy and confusion regarding the place of hemp-based CBD products in the newly created national hemp industry. ucts across the United States. The market growth seen within the hemp-based CBD industry up until late 2018 is due to a grey area created by the 2014 Farm Bill. As such, what exactly has been considered “legal” and “illegal” is largely conjecture on the part of sellers, buyers, and law-makers within certain State markets. Looking to the future, many advocates and business owners alike hope the 2018 Farm Bill represents a harbinger of things to come for a national cannabis industry. 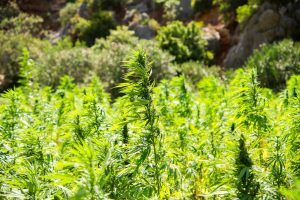 For the time being, however, it seems that the hemp industry still has a long way to go in establishing legitimate business practices. 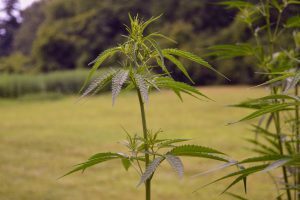 Similarly, the FDA and other federal agencies must work with hemp companies in understanding exactly what products are legal under this new regime. M&F Talent is excited to witness this historic moment for the U.S. hemp industry. To this end, we have developed business connections relating to commercial hemp cultivation, harvest equipment design, CBD extraction technology, and more. As seen with cannabis recruiting practices, our hemp recruiting will also focus on technical career paths. In early to mid 2019, expect to see a flurry of hemp jobs being posted by M&F Talent. Please keep an eye on our website and newsletter for updates on career opportunities in the hemp industry.